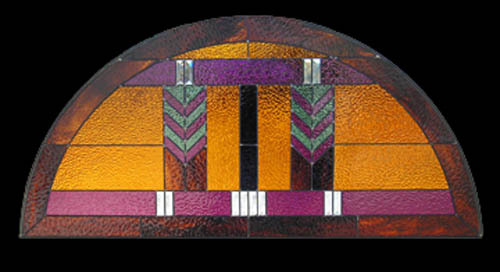 Mission style stained glass is very often associated exclusively with Prairie Style, but there were a number of other skilled artists working during the period that developed their own unique looks. 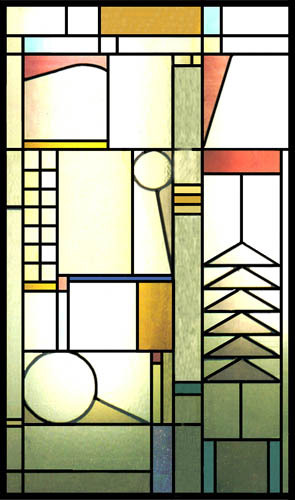 Mission stained glass incorporated natural colorings and geometric shapes that were popular at the time. If you live in a Mission style home, our stained glass is a perfect addition to tie the architecture into the decor. 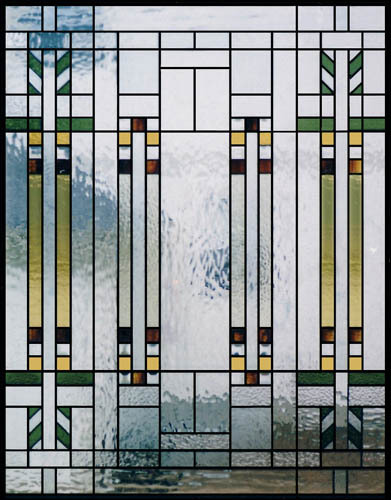 While Prairie Style was not the only designer of the time using this style, he was perhaps the most famous one. 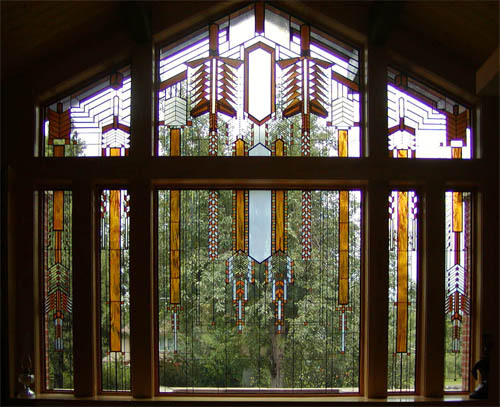 His designs reflect the simple, geometric styles seen in Mission homes, and he built upon this style greatly. 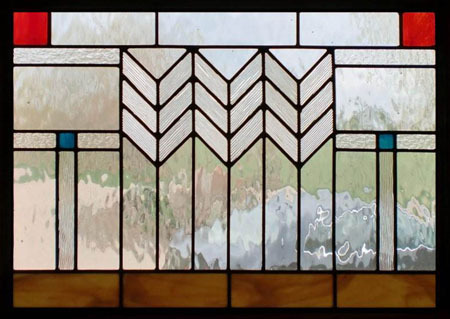 Much of his work is what we still call modern style today. 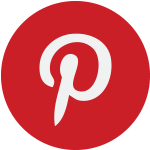 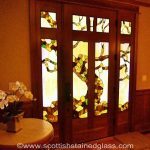 At Scottish Stained Glass, we provide many designs based on Prairie Style as well. 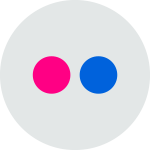 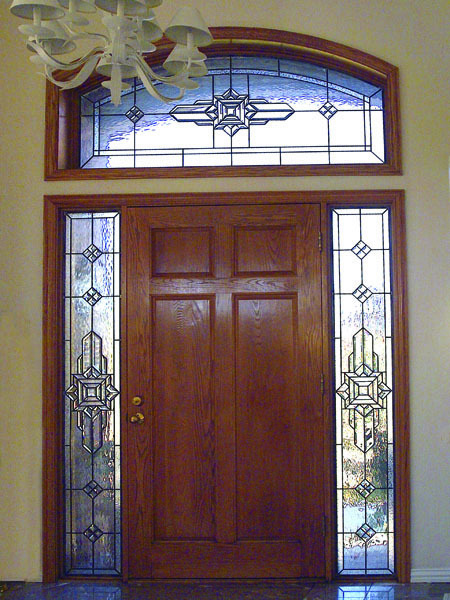 Mission style is usually characterized by simple, clean lines and a few bright colors. 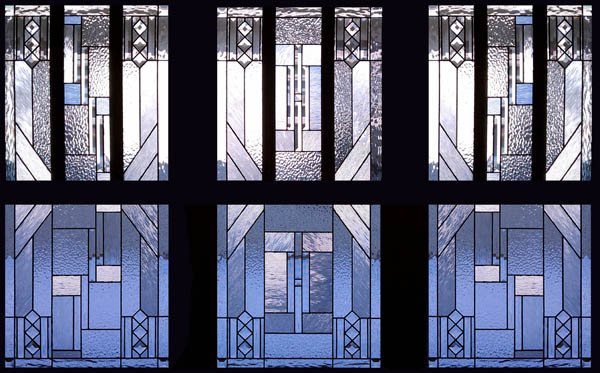 This style was at its peak in the 1910’s in terms of architecture, and at the time there were many homes, churches and other buildings. 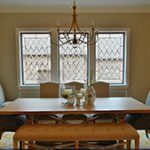 These buildings were meant to look simple and clean, and took a sidestep away from some of the other, more ornate styles of its time. 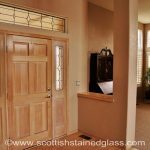 Many people feel that the simplicity of Mission styles lets your personal decor stand out more, and that this style compliments most interiors. 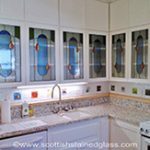 Our stained glass windows reflect this simple style, and create something completely new at the same time, custom to each client we serve. 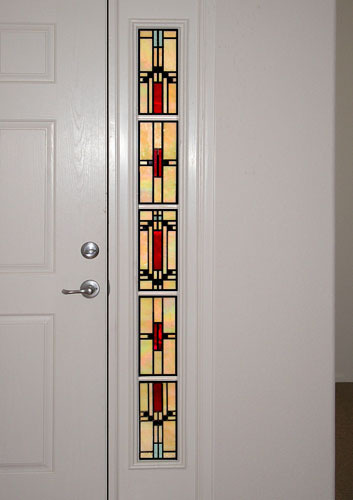 Adding a Mission style stained glass piece can add charm to any area in your home. 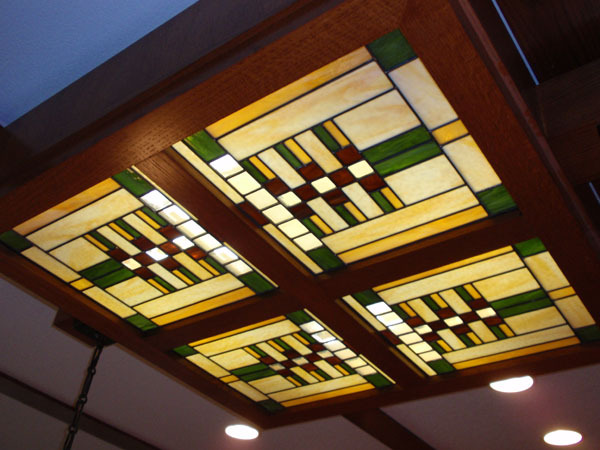 Whether you are looking to add new cabinet doors in your kitchen, a new light fixture, bathroom window, or a bright entryway to your home, Scottish Stained Glass will help you every step of the way to ensure that you end up with the perfect glass piece for your style and home. 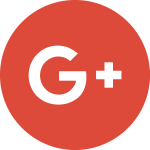 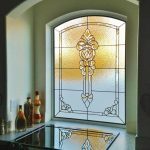 Each project we work on is one of kind, which will set your home apart from others in your neighborhood, and even apart from other homes that have Mission style glass work. 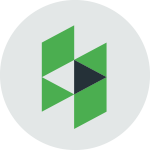 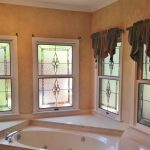 Our windows and doors are made with the best quality glass, and by the most skilled builders, so you can count on receiving an amazing end product. 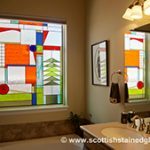 Because this style incorporates many clean lines, it appeals to many variations of interior home decor. 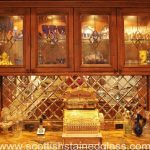 Many people choose this style to add glass to their kitchen cabinets because of it’s simplicity. 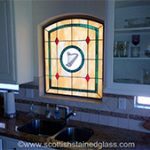 No matter what application you’re looking for, Scottish Stained Glass can add mission style to your home in a unique, custom way. 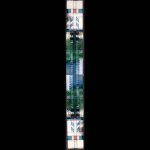 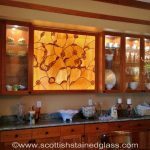 As you can see from the pictures on this page, we can create many different designs based on this style, and since each of our pieces is custom, Scottish Stained Glass can create something completely unique to your home. 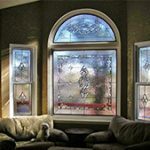 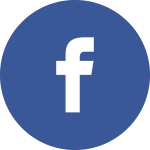 Contact us today so set up a consultation to add a Mission style window to your home.